The producer-rapper-singer put the hat on eBay two weeks ago. The earnings will support his charity From One Hand to Another. Arby's has won the bid for Pharrell's famous hat. The fast food restaurant announced Sunday it paid $44,100 for the Vivienne Westwood hat, made famous when Pharrell wore it at the Grammy Awards in January. The Arby's logo uses a design similar to the brown fedora, which became a trending topic on Twitter after Pharrell sported it. Pharrell tweeted thanks to the buyer Sunday, to which Arby's replied: "You're welcome. We're HAPPY to support a great cause & get our hat back." 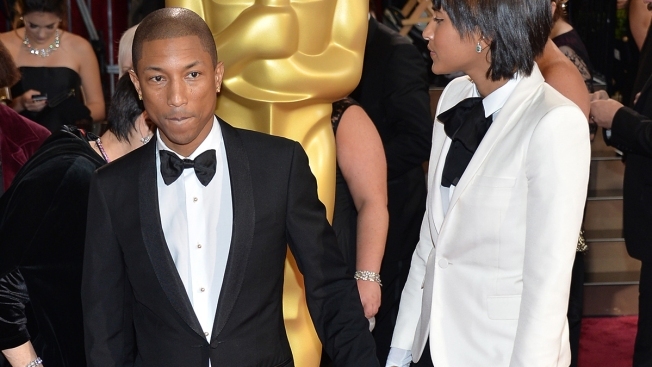 Pharrell wore a similar hat when he performed at the Academy Awards on Sunday. His No. 1 hit "Happy" was nominated for best original song.